Der Diamant ist mit Idealen wie Reinheit, Liebe, Adel oder Reichtum verbunden, aber auch mit Flüchen, Korruption und Armut. In fünfzehn hervorragend bebilderten Kapiteln wird alles über Diamant ausführlich dargestellt: Geschichte, Mineralogie, Einschlüsse, Gemmologie, Diamant in Meteoriten, Raubüberfälle, Fundorte in Afrika, Colorado, Arkansas, Russland, Australien ... und vieles mehr. 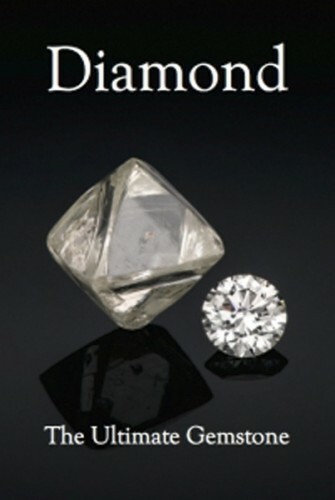 Diamant – der unübertreffliche Edelstein! 152 Seiten, zahlreiche Farbfotos und Abbildungen. Format Din A4. Broschiert. 2017. In englischer Sprache! extraLapis English No. 18 - Nevada - Jackpot! Nevada - Jackpot! Nevada, bekannt als Silberstaat der USA, ist die Heimat zahlreicher mineralogischer Schätze. Große Silbervorkommen wurden Mitte des 19. Jahrhunderts in der Wüste von Nevada entdeckt. Später fand man ungeahnte Mengen Gold. Neben Silber- und Goldstufen sind Opal, Baryt und viele weitere Mineralarten in Sammlungen auf der ganzen Welt zu finden. In brillanten Bildern und Texten werden in diesem Werk Mineralien und Fundstellen, sowie Bergbau und Geschichte ausführlich beschrieben. 128 Seiten. 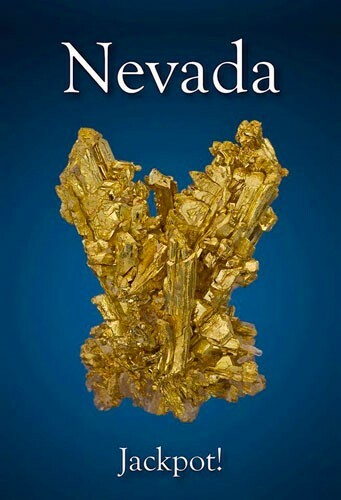 Zahlreiche Farbfotos und Abbildungen, Karte des Staates Nevada mit Mineralfundstellen. Format 30 x 21 cm. Broschiert. 2013. In englischer Sprache! Amethyst - Uncommon Vintage In diesem neuen extraLapis in englischer Sprache wird der Amethyst umfassend dargestellt. Es wird sowohl ein Überblick über die Mineralogie gegeben, als auch wichtige Funde und Fundgebiete dargestellt. 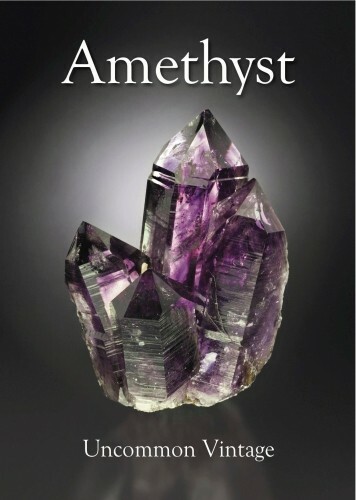 Neben Namibias berühmten Amethysten und den bekannten Kaktusquarzen aus Südafrika werden Amethyst aus Guerrero und Veracruz/Mexiko und auch Thunder Bay-Amethyst in Text und ausgezeichneten Bildern beschrieben. Auch deutsche Amethystfunde und Funde aus vielen weiteren Gebieten sind enthalten. Äußerst empfehlenswert! 128 Seiten, viele Farbfotos und Abbildungen. Broschiert. Format 30 x 21 cm. 2012. In englischer Sprache. The spectacular landscapes of the San Juan Mountains in southwestern Colorado are graphic evidence of the violent geology that concentrated a wealth of minerals in the triangle loosely defined by the picturesque mining towns of Telluride, Silverton and Ouray. An ancient hunting ground of indigenous peoples, these rugged high peaks concealed gold and silver discovered by westerners only in the last 150 years. These discoveries spurred mining booms and engineering feats as man worked to penetrate the ore- and crystal-laden cliffs and peaks. Modern visitors to the San Juans still collect minerals in the many prospects and trek the highways and byways that were first carved into the mountains by the pioneers. 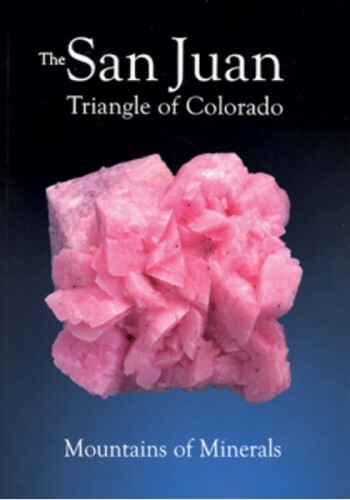 The mining history and stunning scenery of the San Juans is impossible to ignore, as are the Mountains of Minerals that make them so As is typical for the series, the production quality is excellent, the photography is beautiful, and the text is authoritative, readable and interesting. Softcover, 2011, perfect binding, 104 pages, size: 92.7 x 21 cm. extraLAPIS English No. 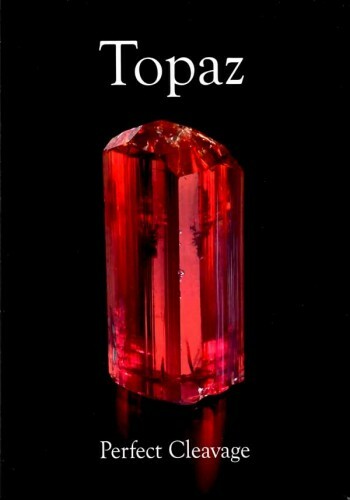 14 Topaz Entry #14 in the ExtraLapis English series of softcover, magazine-format books is entirely devoted to the wonders of topaz, one of the most popular and collectible of all gem species. 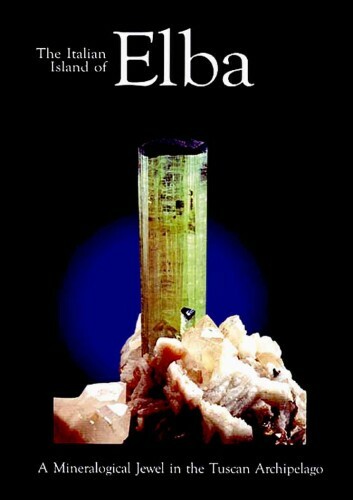 Introductory chapters cover general mineralogy, historical lore and geology, followed by a series of beautifully illustrated chapters on important topaz occurrences: (1) the Maynard mine in the Thomas Range, Utah, (2) Volodarsk-Volynski in the Ukraine, (3) Japanese occurrences, (4) Colorado occurrences, (5) Mongolian occurrences, (6) Gilgit-Baltistan, Pakistan (including an excellent locality map), (7) St. Anne's mine in Zimbabwe, (8) Brazilian occurrences, and (9) Russian occurrences. Concluding chapers deal with color in topaz, David Brewster's experiments with topaz, inclusions in topaz, and cat's eye and star topaz. Three pages of references are provided at the end. Beautifully illustrated in color throughout, as is typical for the series. extraLapis English No. 13: Smithsonite - Think Zinc! 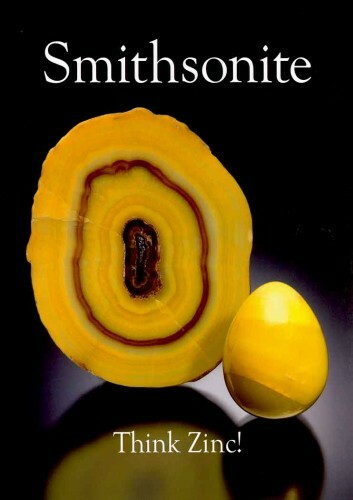 Smithsonite - Think Zinc! is the new entry in the ExtraLapis-English series of books from Lithographie, LLC. In this case it does not appear to be patterned after any previously published German-language edition, but rather is a new, original publication. 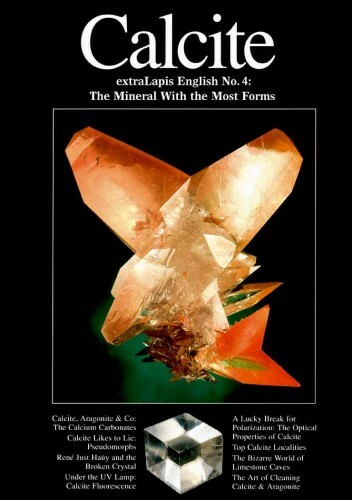 Like the other books in the series, it is beautifully produced in large format on high-quality paper and with color photos of 161 mineral specimens (plus 16 polished examples and various maps and locality photos). And as usual, the text is interesting and readable, written by a well-chosen group of authors. Chapters cover the following topics: Mineralogical aspects (by Paul Pohwat)/James Smithson (by Smithsonian curator Paul Pohwat)/Generalized geology (by Peter Megaw)/Sardinian localities (by Fabrizio and Luca Ferrero)/Mexican localities (by Peter Megaw)/Arizona localities (by Tony Potucek and Tom Hughes)/Broken Hill, Australia (by Bill Birch)/Tsumeb and Berg Aukas, Namibia (by Bruce Cairncross)/Arkansas occurrences (by J. Michael Howard)/Laurium, Greece (by Wolfgang Wendel)/New Mexican localities (by Robert Eveleth and Virgil Leuth)/Color in smithsonite (by Virgil Leuth and Patricia Frisch)/Pseudomorphism (by David Ellis)/Lapidary aspects (by Michael Gray)/Cleaning techniques (by Jon Voelter)/- and a three-page References list. 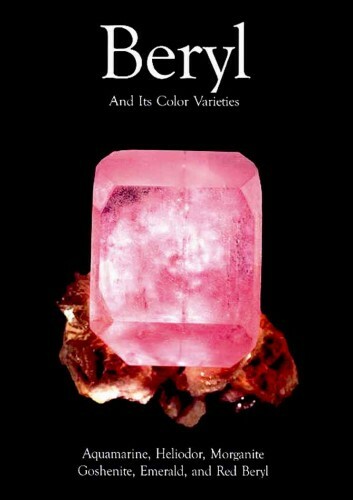 This is a book that any mineral collector will enjoy. Softcover, 104 pages, 2010. From its mineralogy to its landscape to its personalities, Bolivia is an enigmatic place where anything can and does happen. 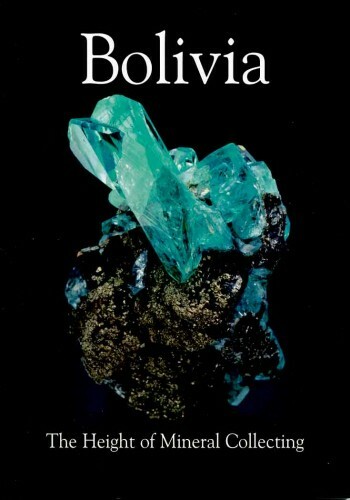 For centuries, Bolivia's mines and minerals have influenced its history, attracting conquerors, inciting wars and unrest, and making a few men obscenely rich. Bolivia is an impoverished country, which hosts rich resources. It is home to some of the world's most inhospitable climes, which are populated by a warm and colorful people. The richness of this land of extremes transcends material wealth, proving irresistible to a cadre of artists, outlaws, adventurers, scientists, and mineral collectors. Welcome to Boilvia, the height of mineral collecting! Softcover, 108 pages, size: 29.7 x 21 cm. 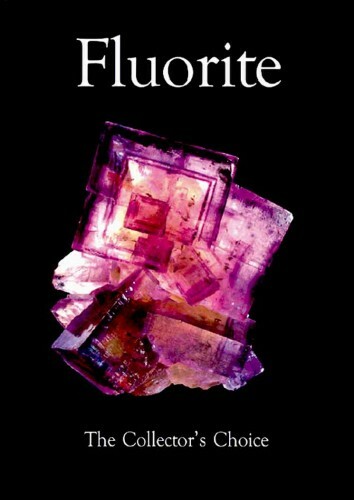 Fluorite is...clear and colorless in its pure form, but defects and impurities endow it with an array of colors...a rich history that spans cultures and millenia...an important ore...readily mined from places around the globe...rich in color, form, association: The Collector's Choice. TOC: Fluorite: from Ancient Treasures to Modern Labs and Collections (Gloria Staebler, Joan Deville, Earl Verbeek, R. Peter Richards and Fabien Cesbron)/Fluorite Luminescence (Earl Verbeek)/Fluorite Balls from Hell (Erich Offermann & R. Peter Richards)/Colors of EUROPE: Old Classics and New Finds: Fluorite from the United Kingdom (Ian Jonas)/Fluorite from Spain: Every Color Under the Sun (Guiomar & Miguel Calvo)/France (Christophe Lucas)/Switzerland (Hans Anton Stalder)/Best of the AMERICAS: Elmwood-Gordonsville-Cumberland Mine Complex Of Eastern Tennessee (Arvid Pasto & Brian Stefanec)/The Great Southern Illinois Fluorspar Deposits (Ross Lillie)/Connecticut (John Pawloski)/IridescentFluorite from OhioŽs Findlay Arch District (Jason McDonald)/Canada (Mark Mauthner & Frank Melanson)/Mexico: Hundreds of Localities, Great Associations (Matthias Jurgeit & Peter Megaw)/Fluorite from Peru (Rock Currier) Softcover, 126 pages, size: 29.7 x 21 cm. Das formenreichste Mineral der Erde. Calcit und Aragonit: Kalkspat und seine Verwandten In englischer Sprache. Mit Umschlag 100 Seiten im Lapis-Format 21x30 cm.